Living in Delaware and looking for alcohol abuse help? Make use of one of the alcohol help numbers below. Delphi Health Group provides free alcohol counseling and treatment services for people with alcohol addiction. Callers speak with a representative who will give treatment advice and referrals to alcohol detoxification programs. Services offered are covered under insurance. Calls are toll-free and confidential, and representatives are available all day long, all year round. Call the free alcohol addiction hotline on (866)-520-2708. Dial the alcohol crisis helpline 2-11 for advice on alcohol treatment and referrals to the appropriate treatment facilities and support groups for alcohol addiction. Delaware 2-11 also connects callers to health and human service resources. The Division of Substance Abuse and Mental Health provides referrals to clinics and alcohol rehabilitation facilities that provide alcohol detoxification. The Division in Delaware provides screening and evaluation, long-term treatment services, outpatient alcohol treatment management, and residential services. Call the alcohol help hotline (302) 255-9399 to speak to a representative. National Drug Helpline is the hotline operating nationwide. It aims to provide information about addiction rehabilitation services for people with alcohol use disorder. Get advice on alcohol treatment services and receive referrals to reputable treatment programs. Call the national abuse hotline 1-888-633-3239 to speak with a representative. The National Council on Alcohol and Drug Dependence Hopeline offers treatment counseling for alcohol addiction and substance abuse disorders. The national abuse hotline also connects callers to effective treatment programs nearby. Call this national alcohol abuse hotline on 1-800-622-2255. 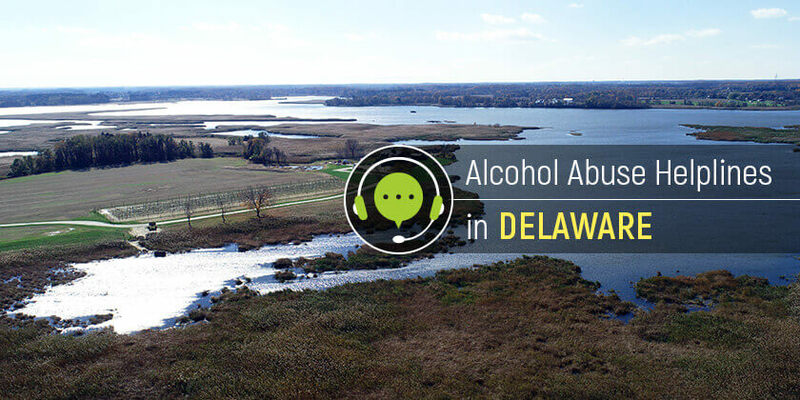 Delaware residents can achieve alcohol sobriety and recover fully from alcohol addiction. Begin this journey to abstinence by dialing any of the alcohol helpline numbers listed.